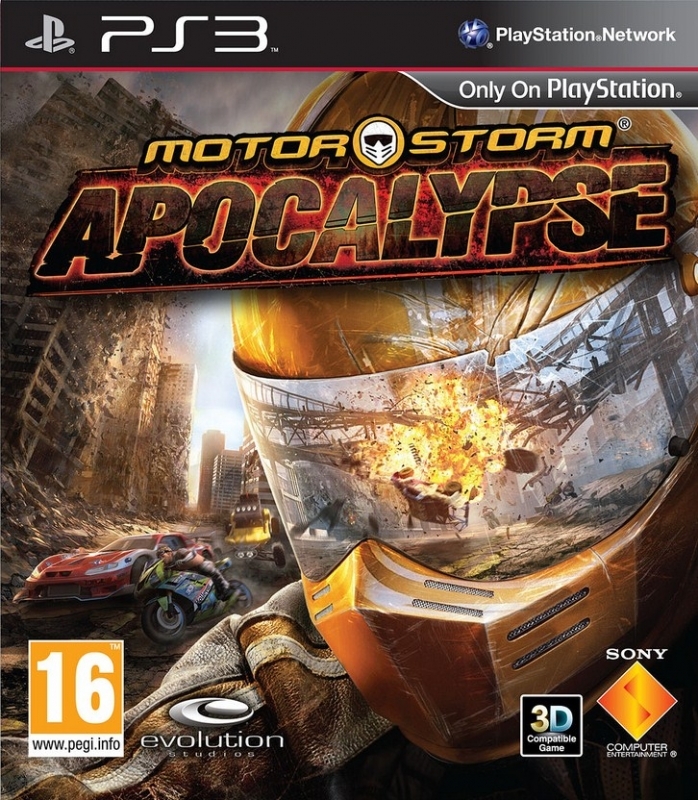 "MotorStorm fans, you're in for a world of hurt... and grey, lots of grey." The Stormers are now bringing the extreme MotorStorm festival to a major metropolitan city that has been ravaged by a gigantic earthquake. 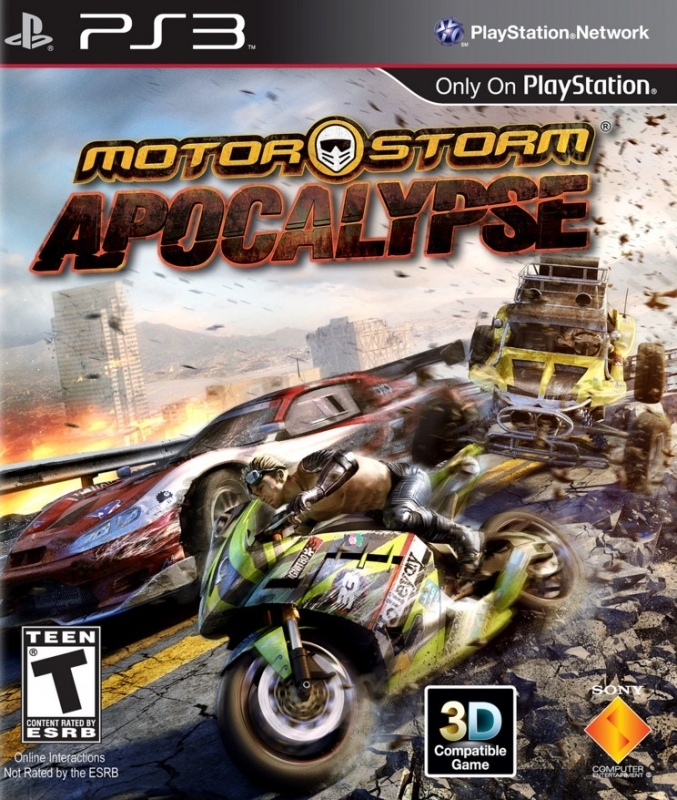 With all of its unstable skyscrapers, fiery subway tunnels, twisting bridges and more, the almost completely abandoned city offers the perfect playground for MotorStorm’s electric brand of brutal street racing. Fully customize your collection of vehicles, which now includes supercars, muscle cars, and superbikes, and face down your fellow Stormers as well as a city where destruction awaits you at every turn. And with tremors and aftershocks continuing to hit the city in real-time, you never know where the race will take you. Welcome to the concrete jungle. 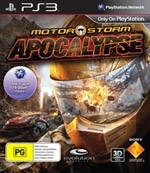 Welcome to the apocalypse, MotorStorm style! Survive epic real-time destruction across 40 unique apocalyptic races with over 300 gameplay-changing real-time events —from building collapses and machine gun fire to cataclysmic natural disasters. Race and customize 13 unique vehicle classes, including supercars, monster trucks, superbikes and more. Support for up to 4-player split-screen races locally for endless racing mayhem, and up to 2-player split-screen online against up to 14 other players. Deep online features including insane 16-player racing, full vehicle customization, performance perks, wagering and more. 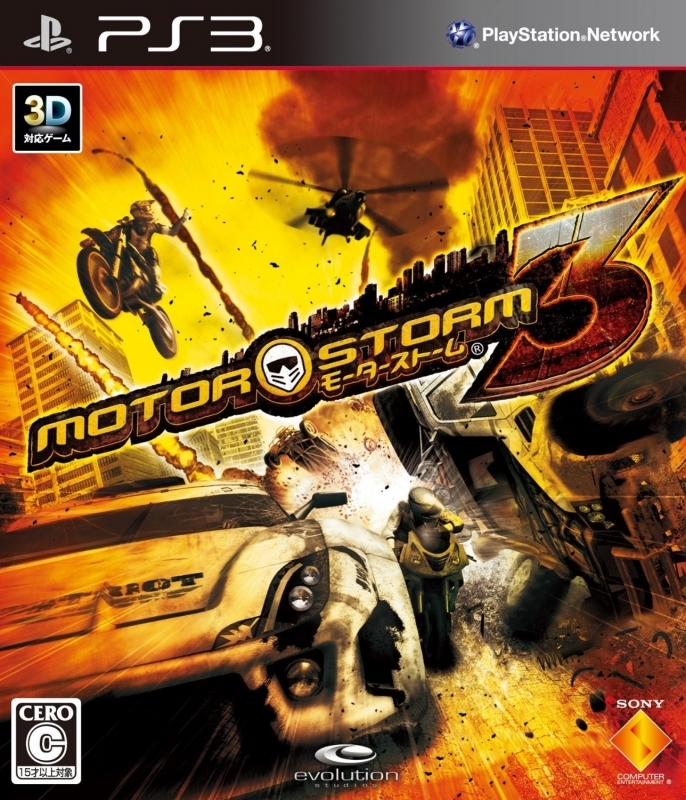 Immerse yourself in the action as every crash, explosion and natural disaster roars to life right in your living room with mind-blowing stereoscopic 3D. I've been looking through my large collection PS3 downloads, this game was on it so I decided to give it a go. As far as arcade style racing titles go, this is a fun game. 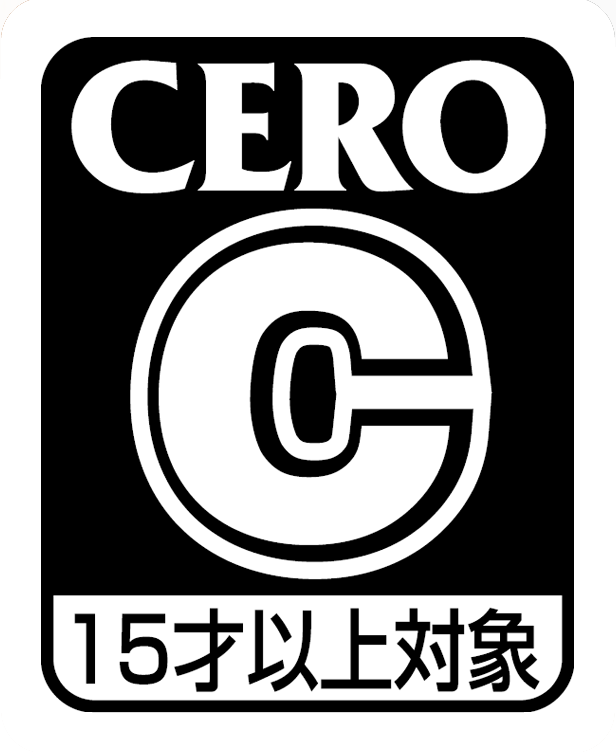 Its funny, there was a lot of drama surrounding this game because of things going on in Japan, delays, etc. People were looking for excuses why it flopped. I think what it comes down to is there isn't a big audience for these style of games. 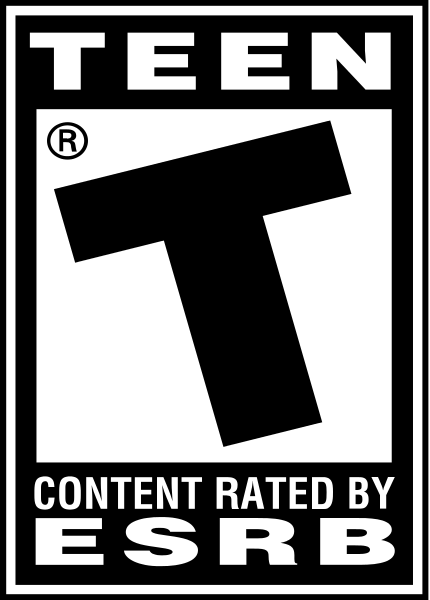 I'd kinda like to see this series get PS4 ports because they would really benefit from 60 fps. 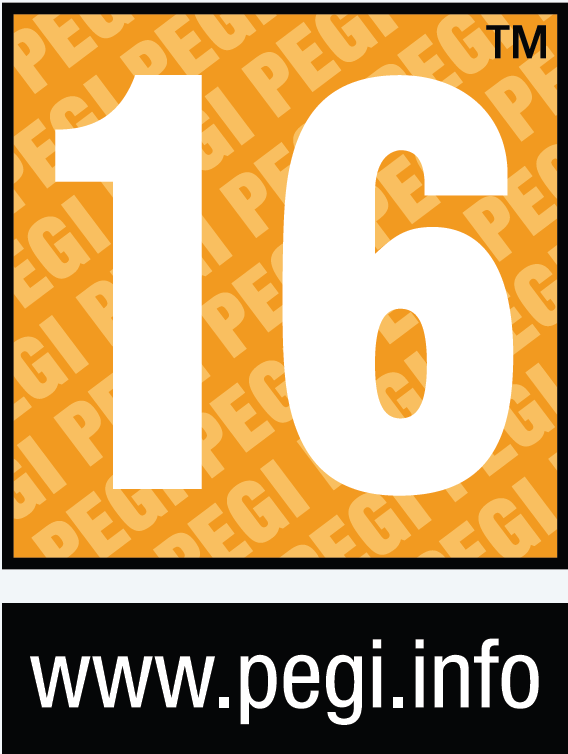 If they make a new release I hope 60 fps is a focus. Shame this bombed, I thought it was the best in the series. 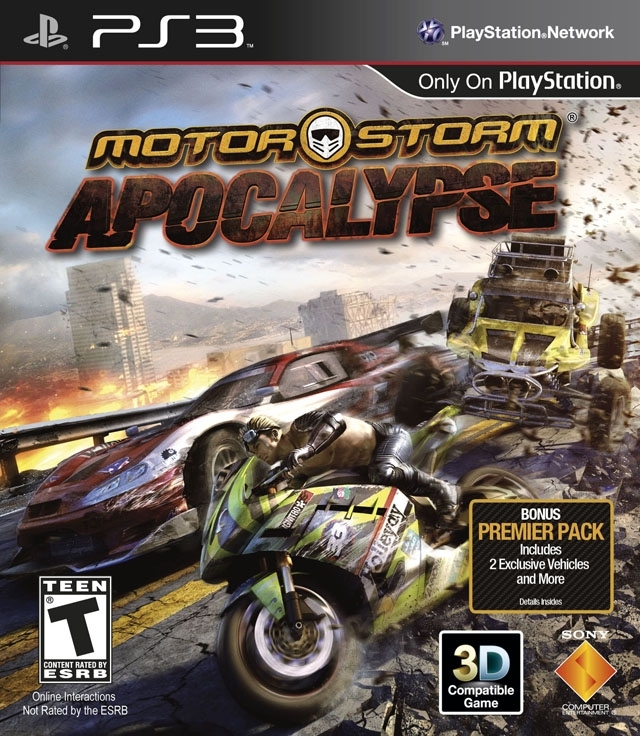 I enjoyed motorstorm: pacific rift more, but this is still a decent game. 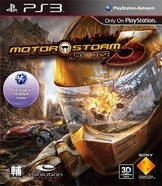 My favourite Motorstorm. Rubbing banding was tuned down, the environments were interesting and diverse, the air cooling system was a vast improvement and the graphics were beautiful. A shame to see it sell like this.